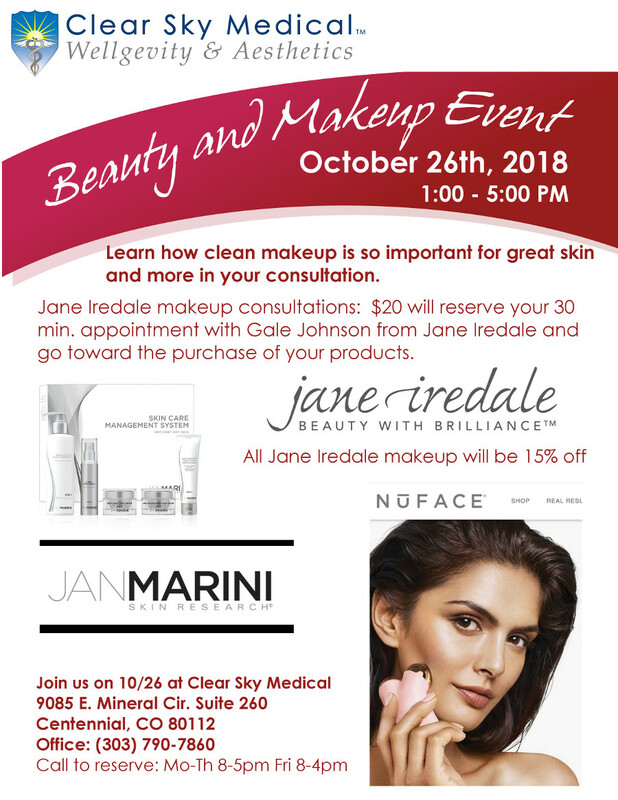 Join us on Friday October 26th for a special event with Jan Marini, NuFace and Jane Iredale representatives and one time discounts. The time will be 1pm to 5pm at Clear Sky Medical 9085 E. Mineral Circle Suite 260 Centennial, CO 80112. If you can’t make this weekday event you can catch us on Saturday December 1st for our holiday event. This October event will be great for getting tips and products in time for Thanksgiving and the holidays. See the flyer below for more info. A consultation with Jane Iredale makeup specialist who will make you look beautiful!